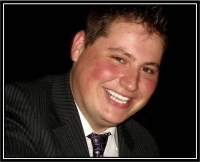 Ian Lawson Van Toch was a 23 year old Medical Biophysics graduate student at the University of Toronto when he passed away very suddenly and unexpectedly in August 2007 due to a rare form of heart disease. Ian was fortunate to have already discovered his passion for computational biology and how it can – and will – lead to quantum breakthroughs in cancer research. This passion was sparked when Dr Igor Jurisica hired Ian to work in his lab at the Ontario Cancer Institute as a researcher during the summer of 2006. That introduction blossomed into a mentoring relationship that is so vital to helping young students launch their careers. As a result of this passion a special memorial fund was created. The Ian Lawson Van Toch Cancer Informatics Fund at Princess Margaret Hospital in Toronto. Ian’s Fund now proudly sponsors at least one student every summer to intern at the Ontario Cancer Institute. Since 2008 the prize, supported by IBM and PMHF, has been awarded at ISMB for an Outstanding Paper by a Student. The RCSB PDB Poster Prize is awarded for the outstanding student poster presentation in the category of Structure and Function Prediction. The award will consist of a related educational book. The ISMB Killer App Award will be awarded to the individual or team that presents a tool/system that is judged to be of the most practical benefit to biochemists and molecular biologists. To be eligible, the tool/system must be presented at ISMB as a poster and must be a fully functional application. A panel of expert judges will select three finalists who will be invited to give a short talk as part of a Technology Track session at ISMB 2010. The winner will receive an Apple iPad and their work will possibly be integrated and featured on Elsevier’s platforms. The ISMB Killer App Award is generously sponsored by Elsevier’s Applications Initiative. JBI (Journal of Biomedical Informatics) editorial board members in attendance at the ISMB meeting will serve as the selection committee for the JBI Award for Best Paper in Translational Bioinformatics. The finalists' papers will be identified by the selection committee in consultation with the Chair of the ISMB Scientific Program Committee, and will be announced at the end of the meeting. Authors of the award winning paper will receive a certificate and a $250.00 cash award. Authors will also be invited to expand their paper for submission and possible publication in the Journal of Biomedical Informatics. This program was created in 2002 to support the new discipline of Informatics, and in 2010 nearly $400,000 was awarded to eight scientists. For application details for the 2011 Informatics program, go to: http://www.phrmafoundation.org.